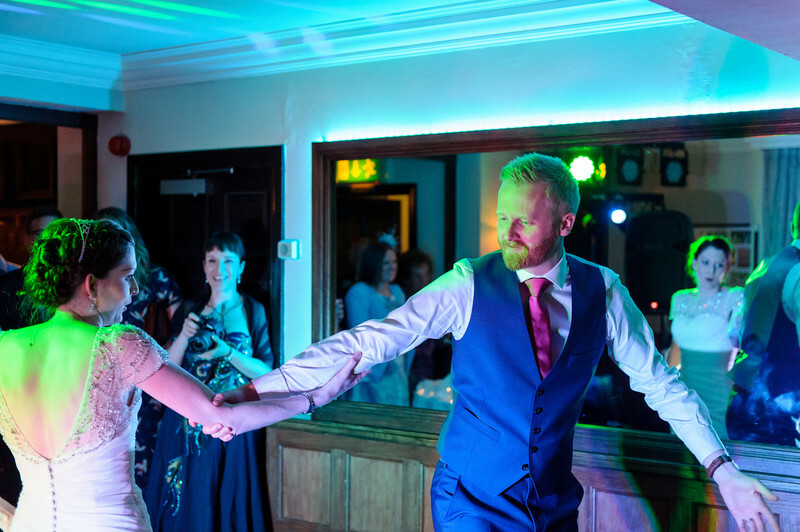 This is one of those luck images you sometime capture and is from a wedding at Whitley Hall Hotel in Sheffield. The bride and groom are doing their first dance and just as the shutter was pressed the bride was in the perfect position for me to capture her expression. It would have been possible to stage this shot but would no doubt have taken several attempts to capture it while throughly annoying the bride and groom, all the guests and the DJ, much better to just capture what is there. One of those chance shots we are all fortunate to get every now and again. Whitley Hall is one of the oldest buildings in Sheffield and dates back to the late 16th century. It has been a hotel and wedding venue since the late 1960's and still retains the original character of the hall complete with some magnificent furniture. 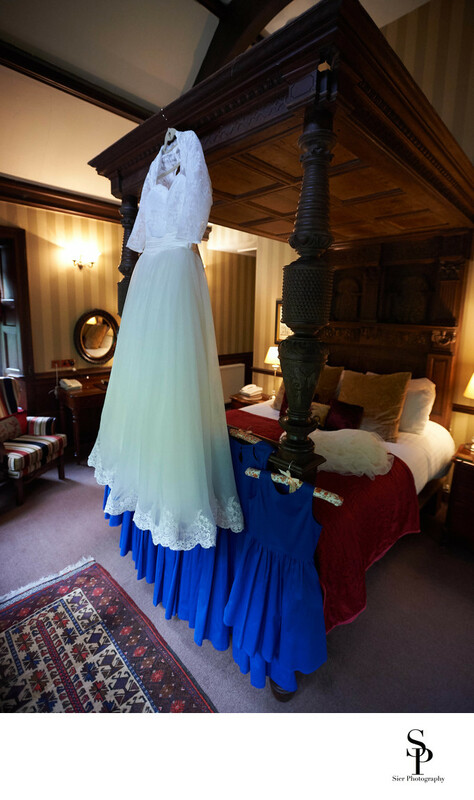 The image below from another wedding we photographed at Whitley Hall shows the magnificent oak four poster bed in the bridal suite. 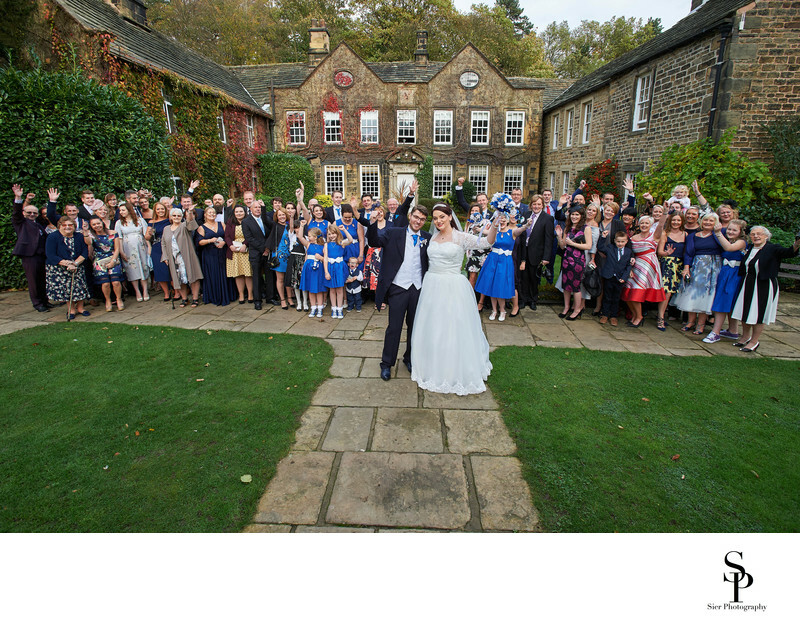 As well as an amazing interior the grounds at Whitley Hall are amazing and the rear of the hall facing the gardens and the lake makes a beautiful backdrop for wedding day images, there aren't many buildings around Sheffield quite so stunning. 1/160; f/3.2; ISO 3600; 52.0 mm.